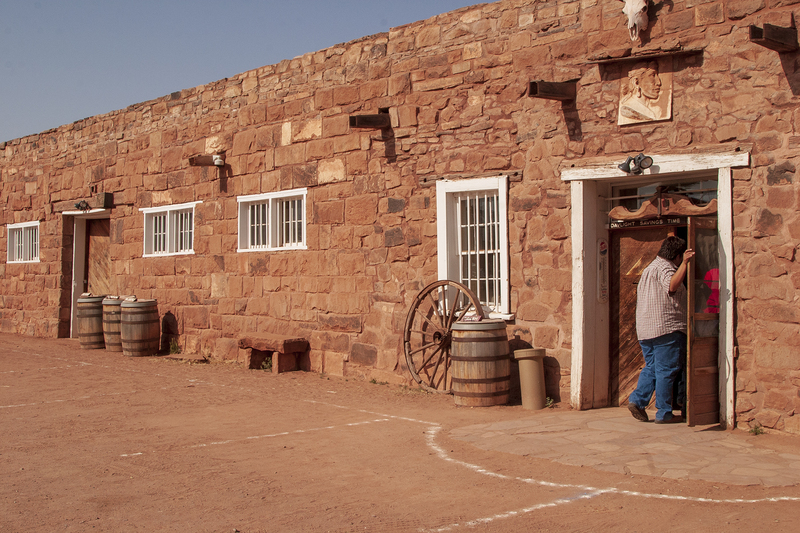 The Hubbell Trading Post is the oldest operating trading post in the country. Hubbell Trading Post National Historic Site located on the Navajo Reservation in northeastern Arizona is the oldest continuously operating trading post in the Navajo Nation. An approximate 45 minute drive from our summer home as volunteers at Petrified Forest National Park we decided to make a day trip on Saturday May 10th and visit Hubbell Trading Post and Canyon de Chelly. John Lorenzo Hubbell, born in 1853 was the son of a Connecticut Yankee who went to New Mexico as a soldier then married into a family of Spanish descent. He became a trader and for half a century was also a respected, trusted friend to the Navajo people. He learned their ways and language. In 1876 he began trading Navajo blankets, wool, sheep pelts and silver jewelry for groceries, tobacco, tools and cloth. At one time he had an empire of 30 trading posts. Hubbell’s goal was to make money. He believed that if he prospered the Navajo would as well. When a small pox epidemic swept the reservation in 1886 he cared for the sick and dying, using his own home as a hospital. The Navajo traveled long distances to trade and socialize at the Hubbell Trading Post. The main trading area, called the bullpen, stands much as it did 100 years ago. The Hubbell home is opened for ranger led tours and is a treasure trove of rare books, paintings photographs and rare antiques as well as Navajo rugs, baskets and memorabilia. Don Lorenzo as he came to be known provided free room and board to the many important people who passed through this area including former President Theodore Roosevelt. John Lorenzo Hubbell died in 1930 at the age of 77. He is buried on “Hubbell Hill” with his wife and closest Navajo friend. Following Navajo custom his grave is unmarked. The National Park Service has a visitor center here. A booklet for a self-guided tour of the grounds is available. 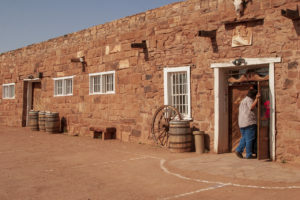 This entry was posted in National Parks, Volunteering and tagged Hubbell Trading Post, John Lorenzo Hubbell, National Historic Site, Navajo, NorthEast Arizona, Petrified Forest National Park. Bookmark the permalink.